Remember doing scratch art in the back seat on a family road trip? Scratch art cards, and the wooden stylus used to create them, are inexpensive and portable, so many students also have fond memories of them as well. Wixie includes a folder filled with colorful Scratch Art templates. 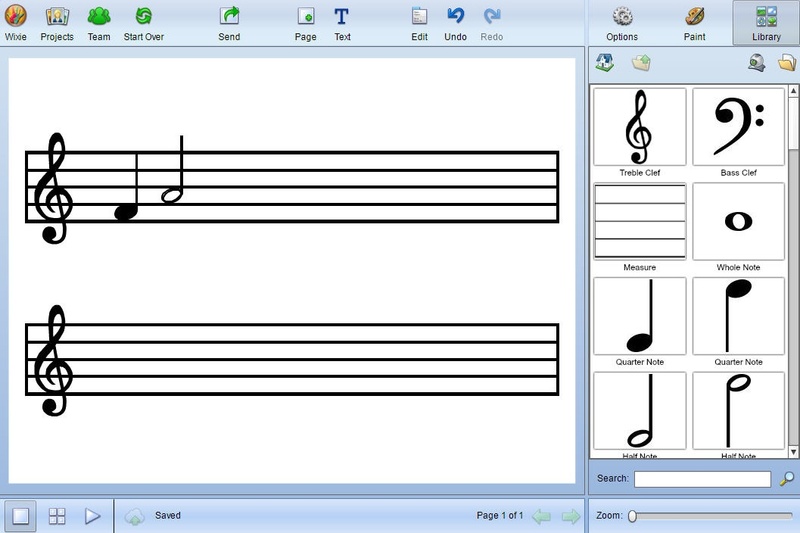 Students can use Wixie's Eraser tool to “scratch” and design art work on these templates, which makes for a beautiful base you can use for writing and sharing a holiday greeting. To create scratch art, have your students log in to their Wixie account and select the Projects button at the top of the screen. Have students open the Templates tab. This tab contains files students can open at any time. Ask students to find and open the Scratch Art folder. When students open a Scratch Art template, directions on the Options panel will direct students to move to the Paint panel and choose the Eraser tool to "scratch" a design on the page. 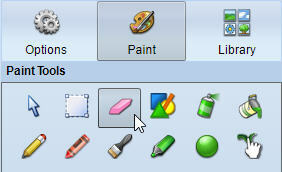 To print completed designs, students can click the Send button on the toolbar and choose Print. If your students don't have access to a printer, you can print student work from you Wixie teacher account. You may also want students to type or record a greeting to practice writing/producing for an external audience. 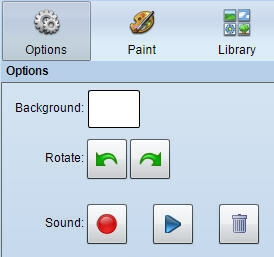 Have students go to the Options panel and select the red Record button to record a voice greeting. Not only does recording avoid having to ask young learners to type, it provides the card recipient with a much more delightful greeting! Because Wixie works online, it is easy to share the greetings digitally with family at home, friends who live far away, or parents who are deployed. 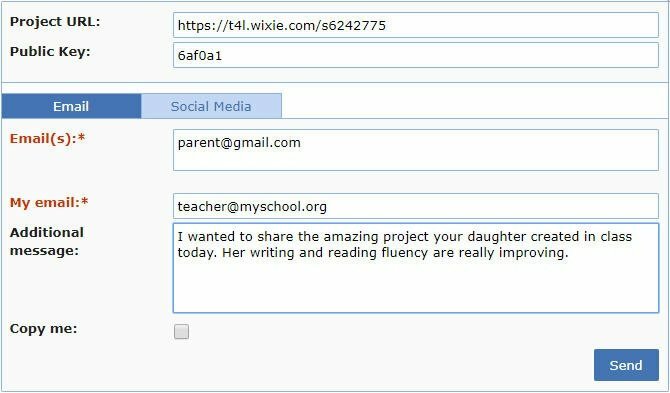 To send the cards to parents who are deployed or family and friends who live far away, you can email them a copy of the project URL from your teacher account in Wixie. If your students enjoyed making their scratch art cards this holiday season, consider using Wixie to create and share thank you cards from class trips, Valentine's Day messages, greetings for Mother's Day and Father's Day, and much more!